Christy Perrin provides leadership to initiatives that involve multiple sectors and citizens in planning, studying, protecting and restoring water resources in a sustainable manner. 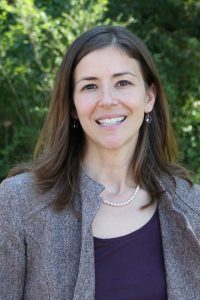 She coordinates the statewide NC Watershed Stewardship Network in partnership with UNC Institute for the Environment and many other organizations. She has special interests in helping public and private organizations to enhance community development while protecting natural resources, particularly in historically underserved areas, and to build citizens’ capacity for collaborative leadership. Perrin joined North Carolina Sea Grant and the Water Resources Research Institute of the University of North Carolina system after managing Watershed Education for Communities and Officials, or WECO, a North Carolina State University Extension program, from 2001 to 2014. She began her career at NC State with the Natural Resources Leadership Institute. She earned her Master’s in Public Administration with an environmental policy focus from NC State, and has extensive training and experience in community mediation and group facilitation. In addition, Perrin holds a Bachelor of Science degree in animal science, with a wildlife biology minor, and an advanced certificate in corporate sustainability from the University of Vermont.